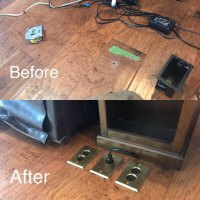 We install all standard outlets and fixtures and if we don't carry what you want installed on our truck we can install any custom switch or fixture you may have purchased. 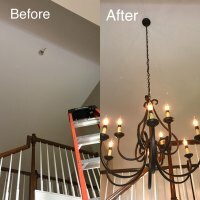 We can also install pendant lights as well as small or large chandeliers. Hardwired smoke detectors should be replaced every 10 years, while batteries should be changed at least once a year. Carbon monoxide detectors should be replaced every 5-7 years. Most units should have a date on the back/underside for reference. Panel upgrading is one of our specialties at Kirkpatrick Homes, Inc. Whether it be a whole new panel or adding amp services to an existing panel, we can get you taken care of in a timely and efficient manner, with each item labeled properly and neatly. We can install lighting and create estimates based on plans from a professional architect as well as from custom home drawings. We prefer to meet one-on-one with the homeowner to discuss specifics when doing wiring for a new home without existing electrical. Exterior lighting includes flood lights, accent lighting, landscape lighting, as well as sconces and other outdoor lights. We can also install weatherproof outlets as desired. We install Eaton Whole-home surge protection to protect your home from nearby power surges. Eaton's Whole-home surge protector installs beneath your current electrical panel and comes with a lifetime warranty. 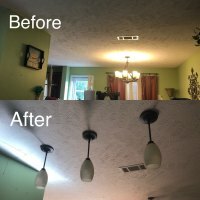 We can install ceiling fans at any height indoors to an existing fan box or install a new fan box during the same appointment. Solar attic fans can be installed to help with attic ventilation to help with energy savings. Most hot tub or pool wiring is custom installed, so please call us out for a free estimate and we can measure your hot tub or pool for custom wiring. 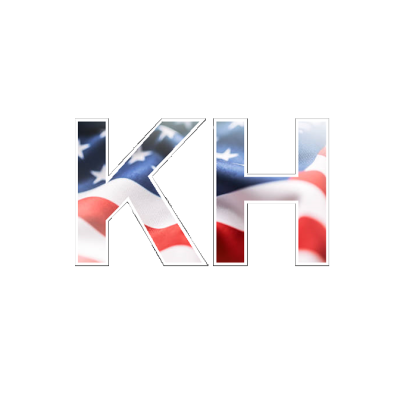 At Kirkpatrick Homes, Inc. our electricians have a combined total of over 50+ years of experience in the field and are willing and able to help you with all of your technical needs. If you are having trouble or problems, our electrical team will come out to your home or place of business and take you through step by step what is going on. Our team takes pride in their work and can show you many before and after pictures of their work these ones here (left). 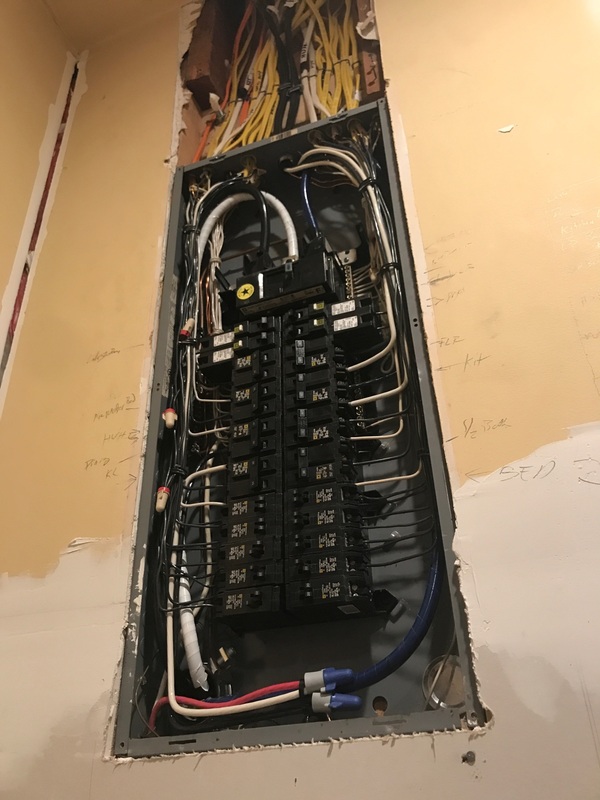 Electrical work should always be performed by a professional as there are many risks associated with working with electrical wiring, outlets, switches, etc. 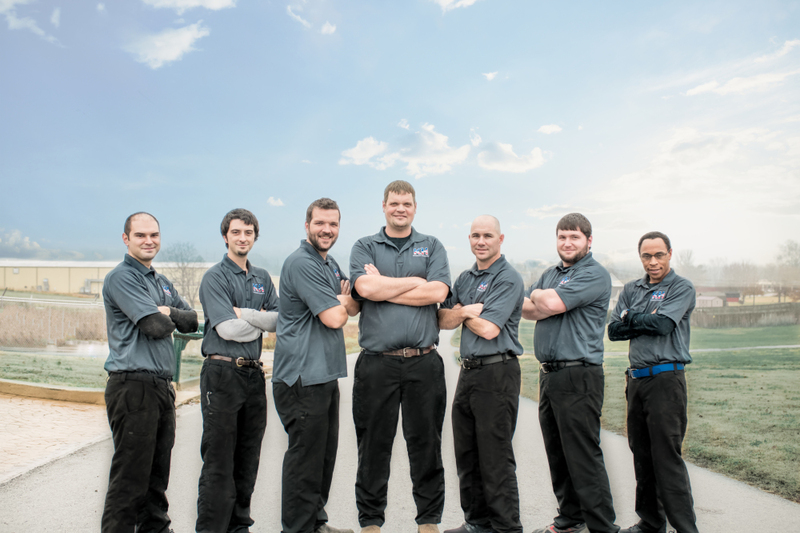 Our electricians are licensed and trained to be able to handle every obstacle that comes there way.